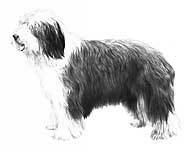 In 1987 I was asked to draw a series of illustrations for the Golden Jubilee catalogue of the Working Dogs Club of New South Wales, Australia. The catalogue was a limited edition of 350 worldwide. At the close of the show all eighteen original drawings were sold at auction. Of the 18 studies, we scanned six before they were shipped to Australia and four were ultimately printed. 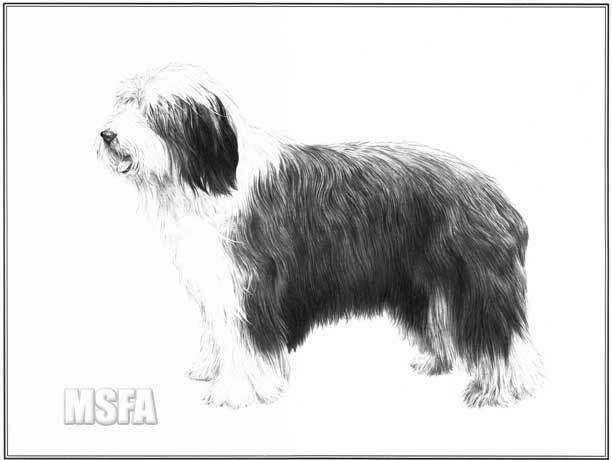 This Bearded Collie study is one of those four. The original drawings took an average of 11 hours each to complete and the original is in a private collection in Australia. image : 12½" × 9½"